GVL partners with diagnostic laboratories to provide veterinary clinics and hospitals with exclusive specials and promotional offers. Step 1: Complete your information below. Please let us know the name of your clinic or hospital and the laboratory that referred you to GVL. Step 2: Sign up for GVL. Click the button below to register for a GVL account. Please be sure to complete all information. Due to our secure signature technology, a GVL representative will follow up with you to finalize the account activation. GVL takes the guesswork out of state movement requirements with built-in regulations for health certificates for any animal. 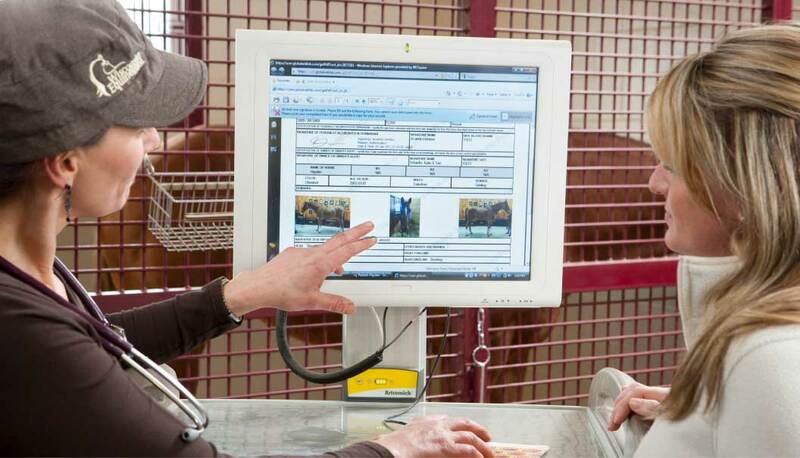 Do more from anywhere with GVL’s HorseSYNC app and the GVL MyVetLINK owner app.